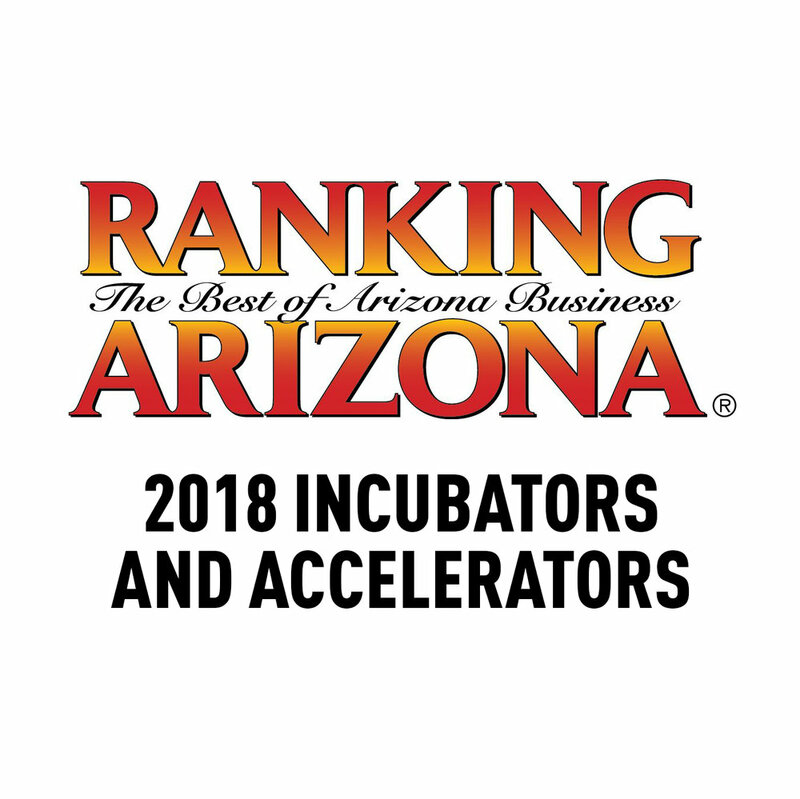 The Center for Entrepreneurial Innovation (CEI), a comprehensive business incubator centrally located in Phoenix, Arizona, provides the services, space and support critical to the development of these early-stage and startup companies. CEI client companies – which represent a wide variety of industries including emerging technologies, software development, bioscience and renewable energy – benefit from the center’s proactive business counseling and mentoring as well as its state-of-the-art facility to commercialize their business. CEI simultaneously offers a community rich in collaboration with other innovative entrepreneurs to champion your successes and provide additional guidance in the growth of your company. As a result, your business not only improves its profitability potential in the market but also becomes an economic engine committed to creating jobs in the city of Phoenix and the region. The Center for Entrepreneurial Innovation began in 2006 with a commitment - a deep-rooted desire to address a regional issue with an innovative solution. For the leadership team of the Maricopa Corporate College and the Maricopa County Community College District along with the City of Phoenix and the Economic Development Administration, it was the need to assist bioscience companies in Phoenix by providing rentable research space. Yet the opportunity was there to create something that would generate a lasting economic impact for the city. By 2009, those three partners had committed $6 million (along with a corporate donation from Blue Cross/Blue Shield) to build a business incubator on the campus of GateWay Community College and develop it into an even more diverse and expanded space for startups and entrepreneurs in the biosciences, renewable energy, and technology services and software industries. With technologically-advanced infrastructure and targeted business development resources, it would help grow new companies, market new technologies and, ultimately, contribute to the economic vitality of Phoenix through small business job creation. Construction wrapped up on the facility in early 2013, and CEI held its formal grand opening and ribbon cutting ceremony on March 7, 2013, showcasing an impressive group of initial client companies which it had spent the previous year recruiting and subsequently incubating. It was only fitting that, during the ceremony, many of the same leaders who had pledged their initial commitment nearly seven years prior came together and spoke about the long-term vision: CEI as the center of a vibrant entrepreneurial ecosystem that plants the seeds of small business growth and transforms the local economy. To provide relevant, timely and targeted support for early stage technology-oriented companies in the creation of quality, high-paying jobs. We support the entrepreneurs taking all the risk in pursuit of their dreams. Their business is our business, and it is our role to provide the right resources to help them grow responsibly and create a lasting impact for the city and region. We hold our staff, our clients and our program to high standards of performance and quality in order to be recognized as a leader within the entrepreneurial community. The CEI name, brand and incubation program should be synonymous with excellence. We believe our entrepreneurs should hold the destiny of their business in their own hands. We assist startups in securing funding but believe strongly that they should retain as much equity as possible in their business. We recognize and reward innovation in an effort to remain relevant in our industry. Our services and resources adapt to meet the evolving needs of our clients and the entrepreneurial community as a whole. We teach our entrepreneurs best practices for operating a business, with the right mix of knowledge and experience targeted for their specific industry niche, but we do not make any decisions for them. We also leverage the resources of the Maricopa County Community College District to support our clients and grow student entrepreneurs. Registered patent attorney Ron Kisicki of Woods Oviatt Gilman LLP forms the core of the CEI mentor program, specializing in intellectual property matters and officing out of the facility allowing him to consult regularly with CEI clients. Ron is admitted to practice law in Arizona, New York and Michigan. The Maricopa Community Colleges is comprised of 10 colleges, 2 skill centers and numerous education centers, all dedicated to educational excellence and to meeting the needs of businesses and the citizens of Maricopa County. Each college is individually accredited, yet part of a larger system - the Maricopa County Community College District, which is one of the largest providers of higher education in the United States. The City of Phoenix implements Phoenix's vision for economic prosperity through its high value-added economic development programs, partnerships, and innovative opportunities to create quality jobs for the community. The organization awarded CEI a CDBG grant in spring 2015 to expand its legal services for local entrepreneurs in the mission of job creation for low-to-moderate income individuals. The Maricopa Small Business Development Center Network (SBDC) provides advising, training, online courses and resources for businesses throughout the valley. They work with businesses in every industry and at every stage of growth from start-ups to well-established companies, making them Arizona’s largest and most accessible statewide source of assistance for small businesses. Phoenix Analysis & Design Technologies (PADT) is the Southwest's leading provider of engineering services and products for Simulation, Product Development, and Rapid Prototyping. The organization also runs PADT StartUpLabs at CEI, an onsite maker space providing affordable 3D printing and design services for Phoenix-area entrepreneurs. Coplex is a Startup Accelerator that works with non-coding founding teams to co-create new software companies. In our immersive programs, our team supports with product development to take new concepts to revenue in as little as 8-weeks. The Arizona Collaboratory is a non-profit inclusive and collaborative network of like-minded individuals and entities committed to growing Arizona’s economy. By connecting business owners with business experts and resources through their “Capital Connectivity Portal,” they help prepare businesses for growth and access to capital. HubSpot is an inbound marketing software platform that helps companies attract visitors, convert leads, and close customers. The company also supports accepted incubators and accelerators, and their respective seed-stage startup companies, through its Jumpstart program. Northern Arizona Center for Entrepreneurship and Technology fosters business growth and economic vitality, creating high-quality jobs for the region. NACET’s powerful program matches entrepreneurs, startups and growing companies with the appropriate resources such as staff coaching and advising, grant programs, access to specialty labs and equipment, intellectual property and capital resources, or our extensive network of mentors, faculty, staff, interns and alumni from local businesses and academic institutions.